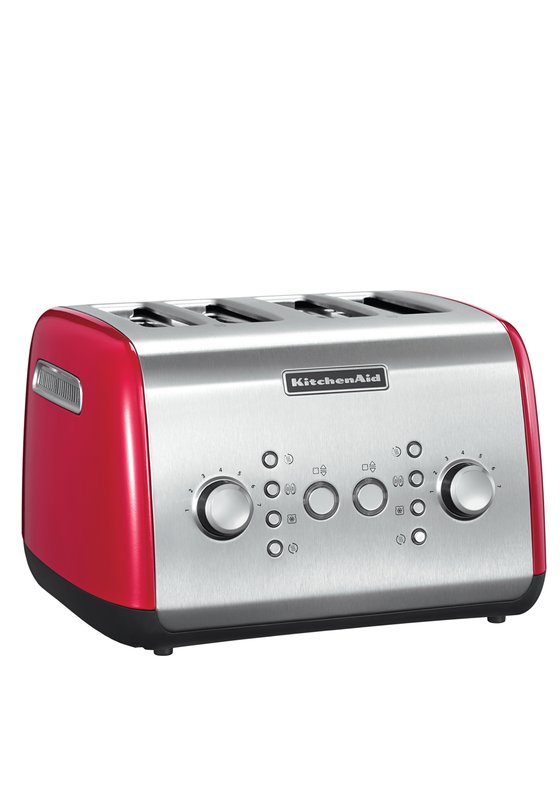 Enjoy great toast in the morning with this four slice motorized toaster from KitchenAid. 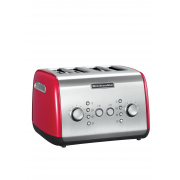 A stainless steel toaster with berry red coloured sides that has a seven shade setting to achieve the perfect toast to suit you. The generous slots are extra wide and the following functions come as standard, keep warm, frozen, reheat and bagel.